Good news for all of you who decided to stick it out with MSI boards! 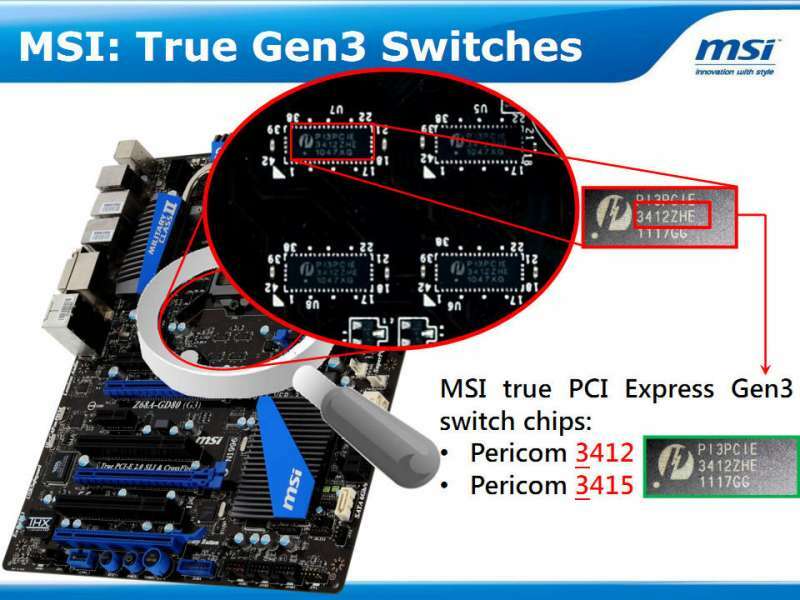 It’s official that ALL of MSI’s Z68/H61 Gen 3 motherboards will fully support Intel’s upcoming 22nm Ivy Bridge processor lineup which, if rumors hold true will be released in a little more than a month (April). I know you all like more details, so the full press release is attached below. (Taipei-Taiwan) MSI announces today that MSI’s Z68 (G3)/H61 (G3) series of motherboards offers official support of Intel’s next-generation CPU based on the 22nm manufacturing process. Users can download the corresponding BIOS listed below at no charge to upgrade their existing MSI Intel Z68/H61 motherboard, allowing a full experience of superior performance and powerful features found on the next-generation 22nm Intel CPU. MSI G3 motherboards also fully support the latest PCI Express Gen 3 specification, reaching twice the current bandwidth and maximizing performance from next-generation PCI Express Gen 3 video cards. Via MSI’s unique intelligent update tool – Live Update – your computer will automatically download and update the latest BIOS for next-generation CPU compatibility, providing an immediate upgrade without spending extra money on a new motherboard purchase! that is required by the user is a simple update to the newest BIOS via MSI’s proprietary Live Update tool, and next-generation 22nm CPU support is instantly available. Additionally, up to 32GB/s of amazing bandwidth and support for next-generation PCI Express Gen 3 graphics cards is unlocked, enhancing the enthusiast’s ultimate performance experience. MSI suggest users to update to the latest available BIOS for the better user experience.